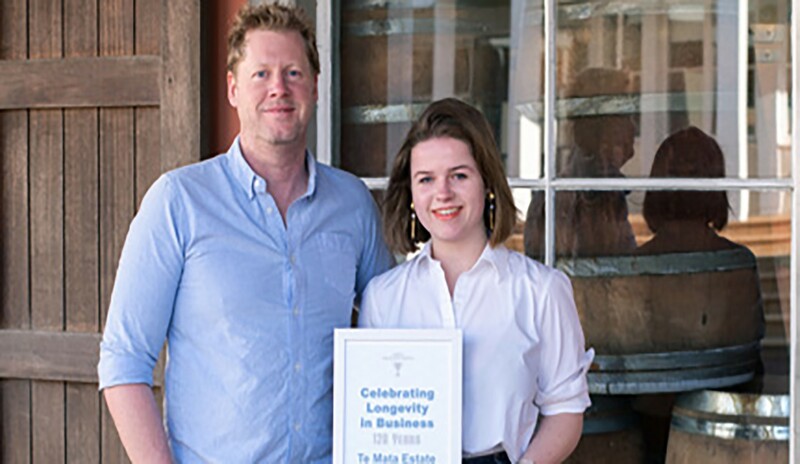 The recent Havelock North Business Association awards included celebration of longevity, acknowledging decade and quarter-century milestones. Our members had to register and not all took advantage this year, so the list is not exhaustive. Here are some of the longer journeys. Harvested its first mushroom crop in 1967, just a small part of the cropping operation run by Te Mata Nursery, a partnership between the Speeden and Hawley families. By 1973 all other crops were phased out. Today, the second largest mushroom farm in New Zealand, the farm produces over 20 tonnes of mushrooms each week. Purchased in 2012 by Michael Whittaker, the business operates seven days a week, 364 days a year and employs around 110 staff – all from its original site in Havelock North. In 1963, as a 24 year-old roving pharmacy reliever and manager of the Hastings Urgent pharmacy, Jeff saw an opportunity to open a pharmacy in Havelock North. He purchased an old building in Te Mata Road, home to the Roundabout Dairy and E J Treachers lacquer finishing workshop, previously a butcher shop. He completely renovated the interior and built his own fitting and fixtures and opened on April 1st 1964. After his first week’s trading, with 28 prescriptions and seventeen pounds in the till, Jeff knew he was going to make it. He employed his first assistant, Jaanee Treacher. Terry Longley (Sr) began funeral directing in Hastings in 1961, learning and crafting the art of funerals and death care, and building a reputation that led to his son, Shann, joining him in 1987 to form Terry Longley & Son Funeral Services. Shann’s wife Monique joined in 2007 and their son, Terry Longley (Jr) in 2014, making it a 3rd generation funeral home, which continues to innovate and celebrate life, while still providing a tradition of dignity to the families of Hawke’s Bay. In 1944 Percy Berry bought nine acres in Arataki Road and, with his son Ian, registered Arataki Apiaries Ltd. In the 1960s a second processing plant was established in Waiotapu, south of Rotorua. In Hawke’s Bay, expansion continued in the 1980s with the purchase of Ashcroft’s Honey. The 1990s was a boom time – Arataki “Squeeze Me Honey™” was released to the market as a convenient dispenser of liquid honey and this continues to be Arataki’s number one seller. In the 2000s Arataki grew their community presence with the visitor and education centre in Havelock North. Today Arataki Honey Hawke’s Bay division has nearly 50 employees. The Havelock North Pharmacy was established in the early 1920’s in Te Mata Rd. Harold Baltrop was one of the original owners and through the years the pharmacy passed through the hands of Edward Leigh, James Mantell de Montalk, Donald Syme and in 1972 to Ed Gilmour, and the business was renamed Gilmours Havelock North Pharmacy. Ed retained Gilmours for 30 years, selling the business to Nick and Claire Wallis in 2002. In 2010 Liz Dixon and Tim Klingender bought the business, which is now solely under Liz’s care. The combined years of staff service at Gilmours is impressive, with Sandra Vetter as the longest standing member, having first worked under Ed Gilmour. Over the last 120 years, the original vision of Bernard Chambers to produce internationally recognised and globally-competitive fine wines, from cabernets grown in the sunny Havelock Hills, has become a reality. Under the direction of the Buck and Morris families since the 1970s, the modern Te Mata Estate crafts wines that are globally regarded for their quality and finesse. Using a regular team of Hawke’s Bay residents to pick the fruit, the winery remains independent, family owned, and entirely committed to the future of New Zealand fine wine. Established in 1949, The Foundation Members, a group of local businessmen, bought the ‘White’ house on Campbell St, after some disagreement with the proprietor of the ‘Exchange Hotel’; more lately known as the ‘Happy Tav’. History says a few orchards were lost and won in illegal card games in the Club. With contention it was voted women could become members of the Club. Previously, they could only sit in the library and wait for their husbands to bring their sherry; often they were forgotten about. was formed in 1919 following a fire that destroyed Eve’s Brick Kiln and house. During its first year, the brigade attended just 2 callouts – both grass fires. Last year, the brigade’s 34 men and women attended 265 callouts. In addition to fire calls and training every Monday night, brigade members present the “Firewise” education program in schools and fit free smoke alarms to residential properties in Havelock North. opened in 1894 with 22 students and five teachers. Woodford is now home to nearly 330 students, including approximately 180 boarders, and 70 staff members. Woodford House stands as a leading boutique and girl-centric boarding and day school, providing every girl with an exceptional education and endless opportunities.